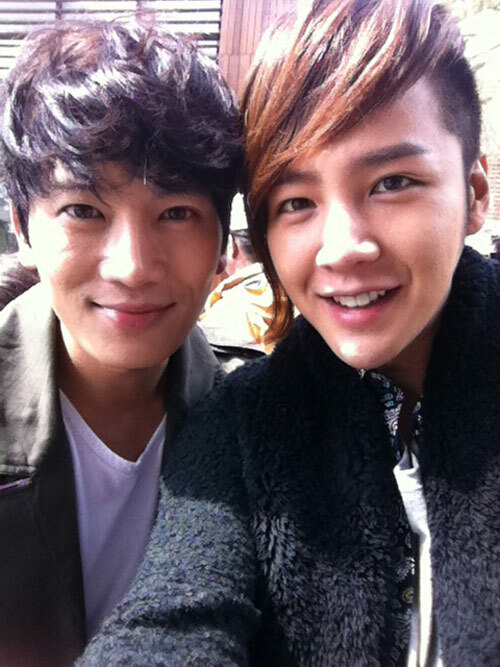 Jang Geun Suk published a photo on Twitter which shows that staff crews on the shooting scene of “Love Rain” been treated to coffee. On the hot day on May 2th, 2012, Jang Geun Suk tweeted on the official Twitter account of Caffe Bene, “Please recommend the summer menu of Caffe Bene.” Soon an official from Caffe Bene replied with a recommendation. Seeing this, Jang Geun Suk immediately tweeted, “The weather is so hot. Can you send some coffees for the staff crews who are working on the set?” With Jang Geun Suk’s considerate request, Caffe Bene sent 100 cups of coffee to the set as gift. 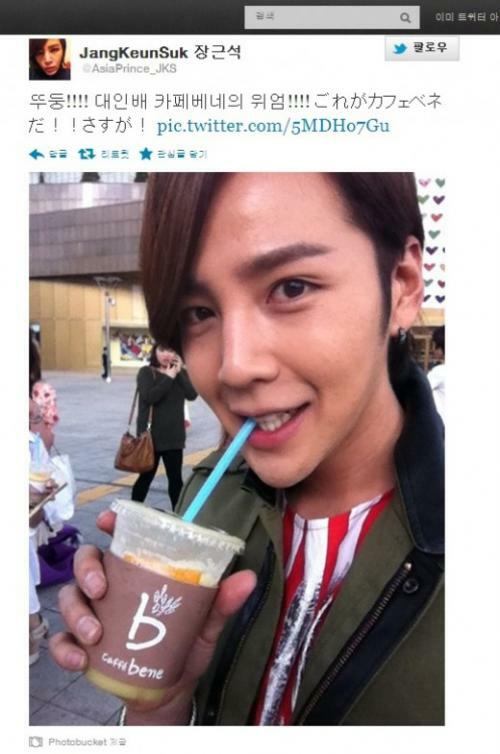 Jang Geun Suk who received the gift immediately tweeted on Twitter wrote, “The true human nature of Caffe Bene majesty,” and uploaded a photo of himself drinking coffee.